Recently an article entitled The Top 10 Twitter Feeds for Career Minded Advisors was published in the FINS section of the online Wall Street Journal. The article listed the top 10 Twitter feeds for financial advisors to follow. I was fortunate enough to be included in this list. I heartily recommend that anyone even remotely interested in personal finance follow the other nine folks listed. Beyond the good natured ribbing that I am taking from some of my fellow advisors on Twitter about my new “celebrity” status, this article has made me stop and think about why financial advisors in general and me in particular are on Twitter. I have met (in person and online) a number of fellow financial advisors from whose Tweets (posts for you non-Twitter users) I learn something new every day. Whether from their blogs or article links Twitter is a great source of information. Additionally I feel that I have greatly expanded my network of experts to whom I can turn with questions in areas where I may not have the direct expertise. I do think Twitter is an excellent PR tool and I feel that my name is out there much more than it was when I first signed onto Twitter this past April. Twitter allows you to follow and participate in the “conversation” about any number of topics. I am particularly interested in the Fiduciary movement; 401(k) plans, investing, and financial planning. Twitter is filled with information about thousands of topics and companies, plus politics, entertainment, culture, and sports to name a few. As a financial advisor I am always careful not to recommend specific investment vehicles or courses of action. Twitter to me is just not a medium to provide specific advice. 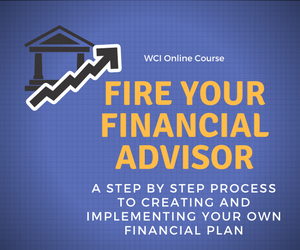 Financial advice is best given in a one-on-one situation, each client and their situation is different. davegalanis Dave is one of the sharpest financial and business consultants I know. Dave is the one who turned me on to Twitter in the first place. We were cubicle neighbors back in the day at our first jobs out of school. Dave is a connoisseur of most foods served on a bun. gtiadvisors Greg is into due diligence, corporate security, espionage, and also maintains a cooking recipe blog. When my daughter was traveling to Russia he indicated that he had contacts that could be of help if she found herself in a bad situation, Greg is a great guy to know. IKE_DEVJI Ike is an attorney and advisor focusing on asset protection. Really knows his stuff. venturepopulist Jeff is a private equity and hedge fund guy with some interesting opinions on investing. dgvelaw Danielle is the mother of three, a really sharp estate planning attorney, plus she is a Packer fan by marriage. If you are new to Twitter or have been on for awhile, this list plus the folks listed in the article are a great group to follow. There are many other people and organizations that I enjoy following on Twitter as well. One tip that helped me early on was to look at the followers and those followed by the people I was following. I still do this to this day. The new Twitter list function is another way to do this as well. Check out Twitter and join the conversation. You’ll meet some interesting people and you might learn something in the process.